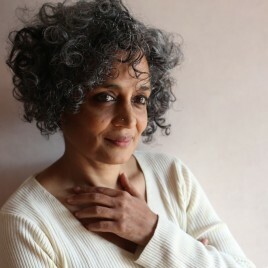 (born in 1961) – Indian writer, author of political essays, social activist and feminist. She debuted in 1997 with the novel The God of Small Things, devoted to the problem of discrimination against women in India, for which she received the Booker Prize. In 2017, her second novel, The Ministry of Utmost Happiness was translated into Polish and released in Poland (as Ministerstwo niezrównanego szczęścia). Her book of essays The Algebra of Infinite Justice (Algebra bezgranicznej sprawiedliwości) and her reportage Broken Republic: Three Essays (Indie rozdarte) have also been published in Poland. She lives in Delhi.